We all have terrible days when nothing seems to go our way. 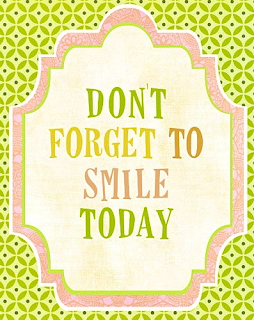 But no matter what type of day we have, it is important that we don't forget to smile. Smiling is like a powerful potion that will turn even the most rotten days around. So when life throws you a handful of sour lemons, just remember to smile. This image shared on Pinterest by Patricia Pirota, via Happy Batatinha.